Have not yet used the neck buff, but looks nice and seems as it will do the trick. Fits perfect! I use it to keep dust from my nose while riding. 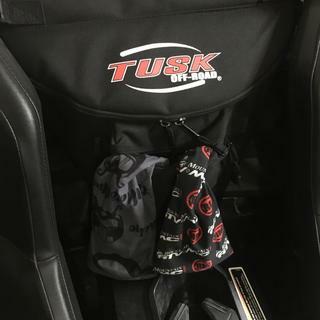 I use this to help keep my face and or neck warm when its cold out, and i also use it over my face while driving my RZR to help stop breathing to much dust from the guy in front of me. Works well in cold weather. This product does what it is supposed to do, for a stellar price. 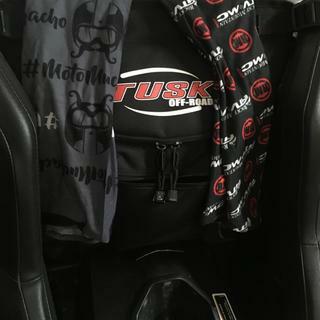 Keeps the dust down while riding, and keeps you warm on a cold ride. Would recommend. I recommend this to others. I gave a couple to friends as I thought they would like them also. I keep them with my go bag all the time now. They are useful as a dust mask and they take the chill off of cool mornings but are not hot during the warm days. I was looking for something to help keep the dust off my face. This fits the bill. Bought four for all passengers. Can’t comment on long term durability yet as I have only worn it a few times and washed once. Good item so far. Thicker than some others that we own. That makes it nice for very dusty days! These do the job expected of product low cost and good performance. Would and have bought again. Works as expected. The material is thin but still is warm and works great as a neck buff. No more dust, Many uses not just for riding ,I have used to keep sweat out of eyes working in summer heat. Also can cut the chill on those cooler morning rides.. I recomend this to everyone who doesnt want to swallow bugs and dust while trail riding. Great for when it's just too cold on the neck, chin, or lower face. I forget I'm wearing it until it gets hot later in the day. Would definitely recommend buying this product. I love this product! It helps make riding experiences so much more enjoyable. It's comfortable, it fits well for both my husband and myself, and it has lasted us years. Highly recommend! I purchased one of these for wearing under my helmet. Thin enough to easily breathe through. Living in the desert, dust is a constant source of irritation. 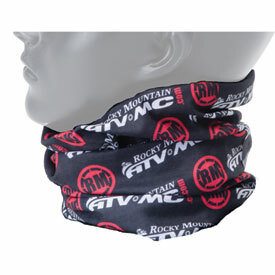 It is a slip over the head type of neck gaiter, and should work well keeping the dust off you face. Got this last year when it was on clearance. Bought three of them. Best money I ever spent. They are tube style and if you wash them three times before using they will be soft and warm. I have used others of similar material while deployed overseas. These colors match my riding gear and it was time to get a new one. Was heavy enough to keep the wind off my neck on a cool day. It wasn't that dusty but I suspect it will do just find to pull up over my nose to block dust. Flexible enough for a vast amount of uses. Good to keep dirt out of your mouth and can also be worn for headgear or even dipped in water to cool down. these have been a life saver when we ride in dusty conditions. Just pull them over your face and nose and after 80 miles of riding our faces were still clean and mostly dust free. After the ride we just rinse them out and we are ready to go the next day. we always carry extras for other riders in the group that may not have one. Worked very well, was light weight and very easy to breathe through. works very well on keeping the dirt out. I would recommend this product. Solid product for a great price. Does exactly what I got it for... keeps dust and dirt out of nose and mouth while riding. Highly recommend it. Nice simple product to keep the dirt out. I would diffidently recommend this product especially for the price. This works for keeping the dust out and the neck warm my family and I love them! Ok I got this to get free shipping....BUT..... this puppy keeps my neck warm if needed, does a great job of keeping dust out of my lungs and keeps the sun from burning my somewhat balding head....once you learn the tricks of how to make it do different things you'll always take it with you....a rare find of a multi purpose thing that actually does a lot of stuff very well. Works fine, can't beat the price. Well, what can you say about such a simple item, but yes it works fine. It's quite stretchable and easily fits over my face if I choose to, although I like to just bunch it around my neck and keep the air off my neck. It's quite long, so you can easily tuck the lower part into your shirt for good cover. And if you care, with the logo printed all over it, it actually looks pretty cool, or at least as cool as a neck buff can look. :) Oh, and it's cheap! I bought this to push me over to get free shipping. I had been looking for something like this. My jacket does not fully cover my neck and this guy right here helps keep the wind out. I have also used this as a hat to keep ears warm by the fire. To cover my face through sandy trails. This is a handy little guy. BEST ANSWER: It is a tube with manny uses. Covers my neck when riding and when I remove my helmet I slide it up over my head to keep the sun off. A tube style product that indeed has many uses. Light enough to use all summer long in a desert environment. It is a tube and it works great! Wash it two or three times before using and it will be soft and warm in the colder climates! It's tube like. It's very long and works really well. Tube. Elastic material. Kinda like thin yoga pant. It is a tube,great under helmet.